The Children in Permaculture (CiP) team are happy to share our “Survey of Resources” published online and freely accessible for all. The Survey of Resources is a very thorough review of existing resources of appropriate content about engaging children in permaculture. It reviews 316 resources (books, films, websites, lesson plans etc) in 5 languages, including resources explicitly about engaging children in permaculture as well as resources relevant to that field. 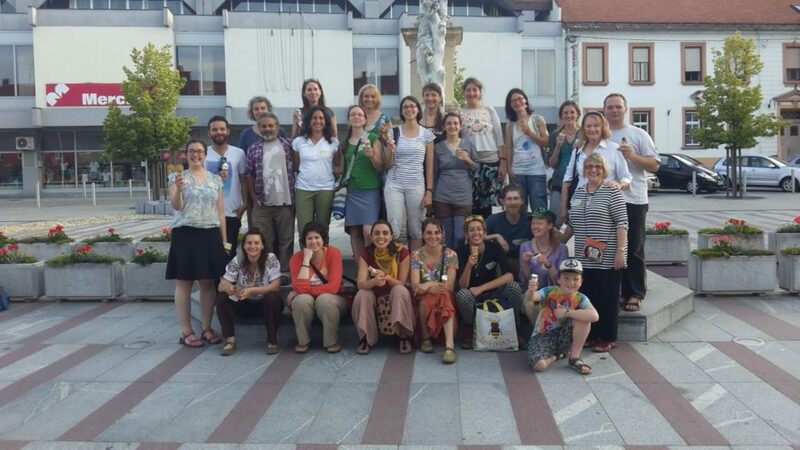 We aim to disseminate the Survey to all project partners, members of the network, parents and educators worldwide who work with children in permaculture in formal, non-formal or informal ways. The majority of the document has been written in English, though there is an appendix for each of the four national languages about resources available in that language. The Survey features the Children in Permaculture curriculum which was created by adapting a standard Permaculture Design Course (PDC) curriculum for adults. The broad range of topics which can be taught on a PDC were collated into six broad themes to give a coherent structure to our work and resources. These themes are: Introducing Permaculture, Living Nature, Designing, GrowingFood, Built Environment and Resource Use, and Social Permaculture. The Survey describes resources recommended for each theme, and notes which topics require further research. We invite you to download our survey from our website and hope it will be of inspiration to you, as it has been to us. The best training course ever! As the CIP team is always busy working on many many things at the same time, it’s no wonder that in the beginning of April, while the Survey of Resources was being polished ready to be published online, we were also developing the forthcoming intellectual outputs – case studies and curricula with associated session plans, activities, handouts and other educational resources. The Survey of Resources was essential background to writing the session plans, as we identified topics where there is lots of information already, and topics which require further research. This enabled us to concentrate our limited resources developing new materials. Every partner organisation is currently working on one or two main themes of the curriculum and creating their first two session plans – one for each age group. These first attempts are going to be useful to get more clarity on the format of session plans and the database which will contain them. There is much work to be done on this intellectual output for the next year, and it will form the basis of the manual the following year. The case studies are intended to capture the imagination of the reader and inspire them to lead activities engaging children in permaculture. They should be available on our website by the year end, in December 2016. In modern society something strange is happening. After so much historical fight for children’s basic rights, to stop treating them as young adults and using them as labour, history is repeating itself. Now children from a very young age are occupied with so many activities led by adults, that they hardly find time for spontaneous, child-led play, which is essential for children’s social, emotional, cognitive, and physical development. Members of Association Naturo (www.naturo.si) believe that free child-led play is an endangered species, especially play in nature and connection with it. Their mission is to bring play and nature back to children. This is done in many beautiful projects – some are designed only for children and some for whole families as it’s important also to strengthen the connection between family members. For children there are two kinds of activities they can attend throughout the year. Forest Nanny is a forest school type of activity designed for promoting free play in nature and connecting with it under the safety supervision of qualified adults. Adventure playground is less about nature and more about street work and strengthening children’s social networks. It’s an outdoor place that contains many loose parts and lots of different tools, for children to play, to create and to socialize. It’s important that children can play in their own way, at their own pace. They learn how to use different tools, how to manage risk, communicate and connect with others and so much more. Among other interesting activities for families, such as trips and camps in nature, there is a special one: a weekend camp only for dads and kids. It’s an important time for them to connect and for mothers to relax. Time spent in nature can be more adventurous and free when only dads are around. 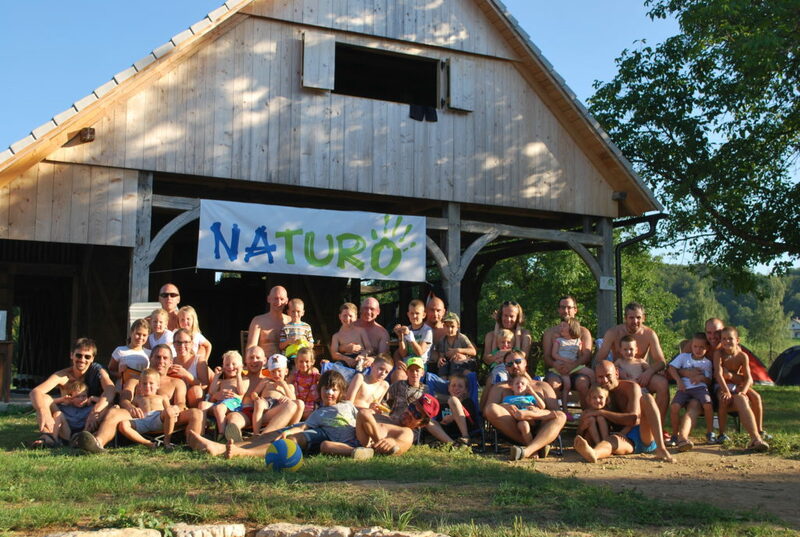 Naturo tries to make many of their activities free of charge for the participants. To some extent they are supported by the municipality, but they are also trying to get their own resources to co-finance their social programs. So … come and play! Teaching Children Permaculture with Kelly Hogan (2012) is a podcast which describes experiences of a permaculture kindergarten in the USA. Also relevant to Introducing Permaculture. The Hundred Languages of Children by George Forman, Lella Gandini, and Carolyn Edwards (1998) is an inspiring book about the Reggio Emilia approach. It is a comprehensive introduction to the Reggio Emilia Approach, history and philosophy, parent’s perspective, teaching methods, school and system organisation, use of space and environments. The Last Child in the Woods by Richard Louv (2008) brings together a growing body of research showing that direct exposure to nature is essential for healthy childhood development and for the physical and emotional health of children and adults. Follow us on Facebook and share the joy!